The domestic agenda of the country was heated up by the release of human right activist Mammadove. Meanwhile, the foreign policy was dominated by German Chancellor Merkel’s first visit to Azerbaijan. The country’s economy experienced a fairly stable period during August. Azerbaijan human rights activist Ilgar Mammadov was released after serving a 5-year sentence. His arrest was described by the European Court of Human Rights as an “unjustified restriction of freedom”. Mammadov was a leader of REAL (Republican Alternative) group and was convicted in February 2013 shortly after the demonstrations against a provincial leader. At the time, the European Court of Justice suggested the government fining the detained activist $30.000 instead of imprisoning. However, this recommendation was ignored. “Ilgar Mammadov’s case has become symbolic of enduring injustice”, said Marie Struthers, Amnesty International’s Director for Eastern Europe and Central Asia. On August 13, the remaining two years of Mammadov’s prison term were suspended. But he was freed with a two-year probation period during which the activist will not be allowed to leave the country. “I’m not happy with the decision of the court. This is not a complete, but a partial victory”, said Ilgar Mammadov to the journalists minutes after leaving the Shaki Court of Appeals. The statement made by the EU Spokesperson says that the European Union expects the unconditional release and will continue its negotiations with Azerbaijan on democracy and human rights related issues. The general secretary of the Council of Europe, Thorbjorn Jagland welcomed the release and stated: “We cannot accept political prisoners in Europe, innocent people should not be deprived of their liberty and the judgments of the European Court of Human Rights must be executed”. Mammadov’s release before the visit of German Chancellor Merkel caused some speculations that the government was trying to prevent possible criticisms about political prisoners. The Azerbaijani government updated the GDP growth forecasts. Previously, GDP was expected to increase by 1.5% in 2018 and 1.4% in 2019. After the President approved “Medium and Long-term Strategy for Managing Public Debt”, these forecasts increased to 2% and 3.1%, respectively. This rise will be driven by “higher oil prices, recovering industrial production, and stronger domestic demand”, according to FocusEconomics experts. German Chancellor Angela Merkel paid a three-day visit to the Caucasus. She travelled to Georgia and Armenia on August 23 and 24, respectively. Then Merkel had talks with President Ilham Aliyev and civil society representatives of Azerbaijan and visited the Alley of Martyrs on August 25 in her final destination, Baku. Since Germany is one of the dominant countries within the EU, Merkel’s visit was in the focus of foreign analysts and western media. Albert Weiler, a member of the German Bundestag, who was supposed to accompany Merkel during her visit to South Caucasus among others, was refused entry to Azerbaijan as he visited Nagorno-Karabakh region in 2014 and 2016 and was excluded from the delegation list. “The position of Azerbaijan is regrettable as it does not contribute to the promotion of the dialogue on the Nagorno-Karabakh issue”, said Steffen Seibert, an official representative of the German cabinet of ministers. After U.S. President Donald Trump’s castigation for relying too much on Russian gas supplies, the motive for Merkel’s visit to Azerbaijan was to discuss the developments in South Gas Corridor, as some experts explain it. Although Germany stays committed to the North Stream–2 pipeline, which will increase Russia’s capacity to export up to 110 billion cubic meters of gas to Europe, Merkel seems interested to find alternative and more affordable gas sources. “We have a big interest in developing the Southern Corridor further”, stated a senior German government official. He also added that this interest does not directly relate to decreasing dependence on Russian gas markets, but is rather a part of EU’s diversification strategy. The capacity of Shah Deniz II project is expected to reach nearly 16 billion cubic meters of gas starting from 2020. The pipeline will provide Turkey, Georgia, and Europe with the gas supply. During the talks with Aliyev, Merkel highlighted the readiness of Germany to be a mediator in resolving the long-lasting Nagorno-Karabakh conflict between Azerbaijan and Armenia. “Germany wants to help to find peaceful solutions”, stated the Chancellor describing the main concern of the region. Merkel emphasized the opportunities for stronger economic and political corporation between Germany and Azerbaijan, characterizing the country as the most important trade partner in the region. “We appreciate the opening of the Baku-Tbilisi-Kars railway in Azerbaijan”, stated the Chancellor and added that this will boost trade relations between Azerbaijan and Europe. She also talked about various business opportunities between companies of two countries that range from construction, tourism, and agriculture fields to digitalization and education. 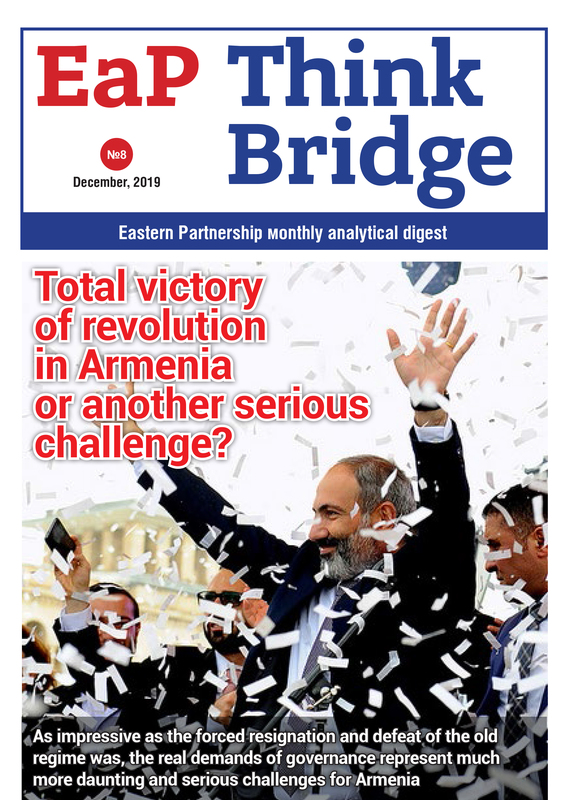 The establishment of win-win relationships with EU member states is one of the main routes of Azerbaijan foreign policy and “Our country is interested in further expanding relations with Germany”, highlighted Vugar Rahimzade, the member of the Political Council of the New Azerbaijan Party. Merkel then conducted a conference with the civil society activists of Azerbaijan. Human rights issues in the country, political prisoners, and corruption were the main topics on the agenda. Turgut Gambar, the participant of the NIDA movement stated that the Chancellor is “aware of the problems in the country”. The opposition parties and civil society of the country were expecting the Chancellor to bring forward the issue of freedom of speech and demand the release of the imprisoned journalists; however, their expectations were not satisfied. German Media described Merkel’s visit to the Caucasus as a “signal to Russian President Vladimir Putin” and an effort to show that Europeans do not wish Russia “to freely manage its backyard”.